Dog Tired, a photo by Davidap2009 on Flickr. Taking a break from the steam fair for a day or so. 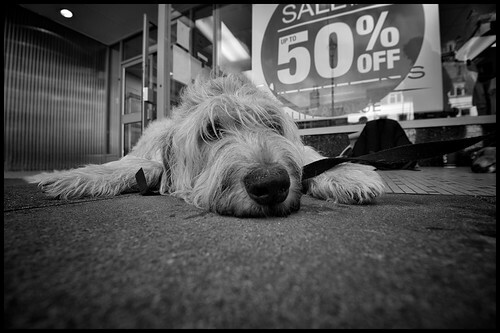 So what to share?Couldn’t resist sharing this shot of an Irish Wolfhound outside a shop in Lymington.